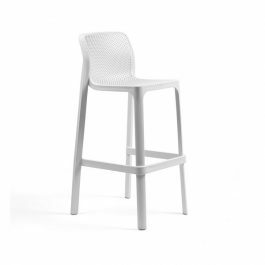 Net Outdoor Stool 760mm is offered with a perforated seat and stool back, or monocoque – single shell. This is a mesh structure made of fiberglass resin, the result of a complex 3D modelling effort. Stackable Net Outdoor Stool 760mm does not need special maintenance and is 100% recyclable. Classy comfort, lightweight and at the same time extremely robust. 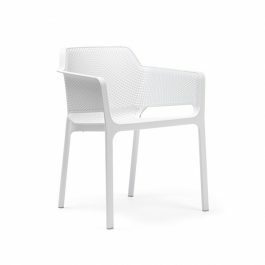 On the border between indoors and outdoors, Net Outdoor Arm Chair moves easily from the living room to the garden. Net Outdoor Arm Chair mint green, anthracite, white, terracotta, taupe or mustard…which colour is your favourite? Net Outdoor Arm Chair anthracite, mint green, white, terracotta, taupe or mustard…which colour is your favourite? 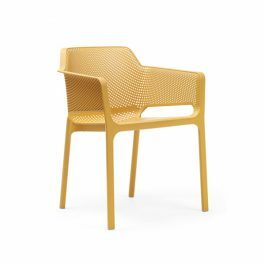 Net Outdoor Arm Chair terracotta, anthracite, white, mint green, taupe or mustard…which colour is your favourite? Net Outdoor Arm Chair white, anthracite, mint green, terracotta, taupe or mustard…which colour is your favourite? Net Outdoor Arm Chair taupe, anthracite, white, terracotta, mint green or mustard…which colour is your favourite? Net Outdoor Arm Chair mustard, anthracite, white, mint green, taupe or terracotta…which colour is your favourite? Net Outdoor Arm Chair Cushion precious coverings and refined lines are combined with technologies that allow the furnishings to withstand the elements to live in the open air all year round (or almost). 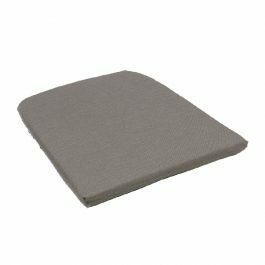 A Net Outdoor Arm Chair Cushion adds extra comfort to the seat base of a perforated Net Outdoor Arm Chair.